What a great day for Special Day for Special Kids. The weather was questionable on Friday, but the sun came out for the 34th Annual Special Day for Special Kids and everyone had a great time. We had the usual Free lunch, drinks, pop corn, ice cream, games, vendors, climbing wall and bouncy things. 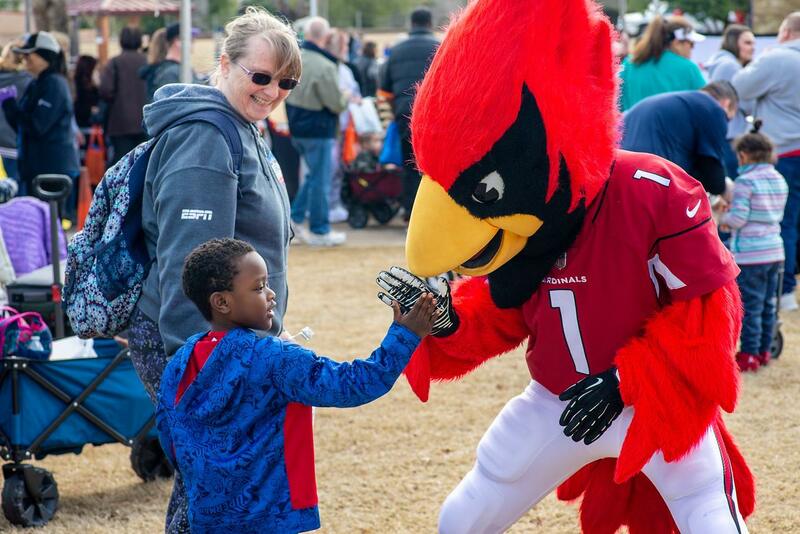 The petting zoo and pony rides were there and of course McCormick Stillman Railroad park was a great partner. Raising Special Kids got the word out to all special needs families in Arizona. The Mechanical Society provided FREE train and carousel rides. Was a great day for the kids to enjoy the event. SAVE THE DATE: Saturday, February 22,2020 for the 35th Annual SDSK!